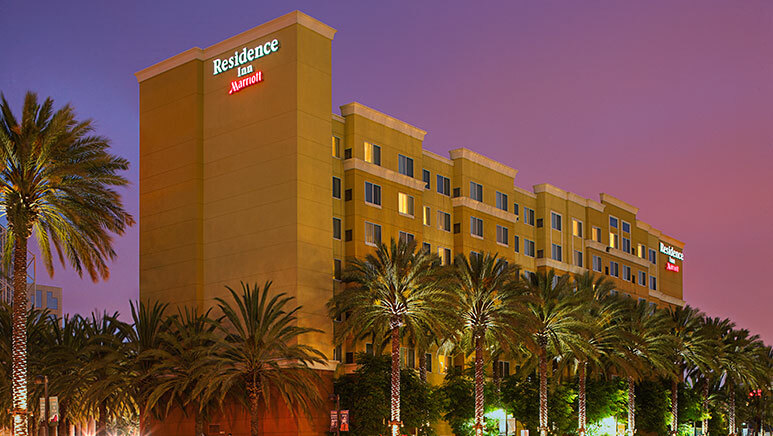 Located one (1) mile from the DISNEYLAND® Resort, the Residence Inn Anaheim Resort offers all the comforts of home and more in their family friendly hotel! 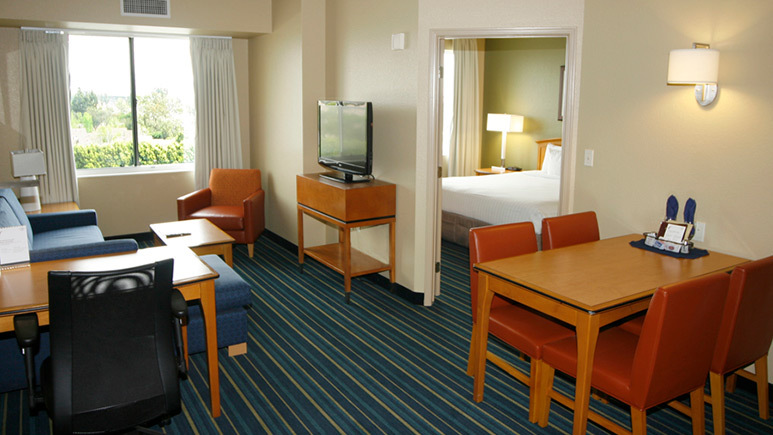 Each fabulous guestroom comes equipped with a full kitchen and free in-room high speed internet. Public areas available to guests include an amazing outdoor pool, BBQ area, a basketball court and more. Feast on a deluxe hot breakfast buffet each morning and enjoy complimentary snacks Monday-Wednesday during Hospitality Hour. Family of 5. 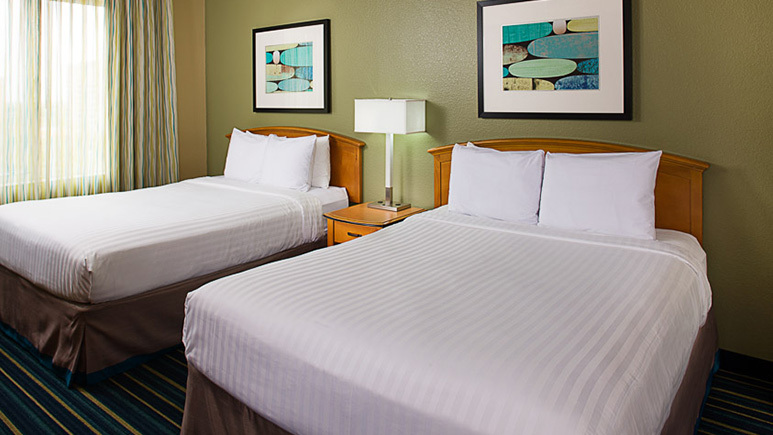 We had a great stay and, really enjoyed returning too our nice clean room every day that we left to Disneyland. Stayed a total of 6 nights. Loved the breakfast and the hospitality. We will definitely be back. I will never stay at this hotel again! My suburban was robbed in the parking lot of this hotel just 30 feet from the entrance to the hotel. The entire 3rd row of seats were stolen along with some other belongings. There is no surveillance in the parking lot and the management acted terribly telling me that no car had ever been broken into before and Walter, the front office manager "guaranteed" it would never happen again. I told him that I wanted to move to a different hotel and he said "I don't blame you" but would not refund our money. I received no further communication from the management until after my stay when I complained in a guest satisfaction survey and Bill, the director of rooms contacted me to tell me that there was poor communication from his front office manager regarding the situation but he would not help us further. I am so disappointed in the lack of customer service from the management at this hotel. I am so disappointed that I was treated like the robbery was my fault and told that they did not care if I never returned to their hotel again. I expected more from a Marriott. we have stayed here many times before and we love it. 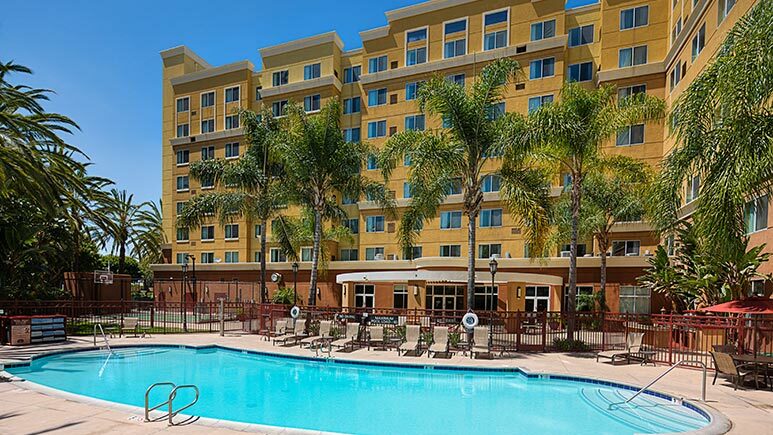 The rooms are great, the value is great, the breakfast is fantastic, we liked everything about the hotel except for 2 things: 1) the pool was not heated at all, In fact, it was literally colder than the ocean, and I am not sure how that is even possible. We stayed a couple extra days to swim and were disappointed that swimming was not even an option. 2) It is a pretty good distance from the park, totally walkable, but its a good distance. I booked 7 rooms for a family reunion to disneyland, there were 33 of us and we had exceptional service from the time of check-in to the time of check-out! The breakfast and the mini meal at night was beyond wonderful, we have stayed at this hotel before but with only a few family members, everyone was delighted with our whole experience, we will definitely stay here again!!! Thank you Get Away Today for arranging everything from the rooms, the Disney tickets,and the hop on ,hop off bus passes, it was amazing!!!!! Nice beds, good breakfast, Gluten Free Breakfast options, good choice! 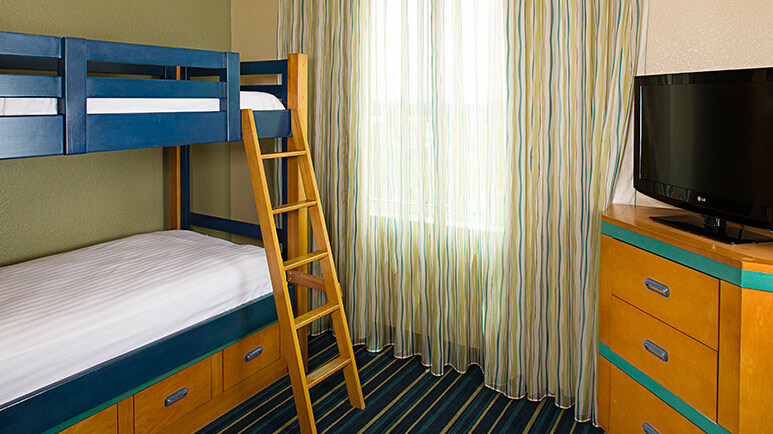 This hotel has a great option of a two bedroom suite for larger groups. The beds were extremely comfortable which was so nice after long days at the park. Housekeeping won't come each day unless you request it, but they do a good job. Full kitchen in the suite so we were able to cook a few times, that helped a lot. The fridge is full sized too, so you could buy groceries ahead of time and keep in the freezer. Even just for holding more drinks it was nice. They have a basketball court, swimming pool and ping pong along with outdoor grills you can use if you want. Its clean, they are friendly and helpful, they have a light dinner Mon,Tue, Wed evenings for guests that is complimentary. Breakfast in the morning is busy but well done and there are lots of options for food allergies! The food is pretty good and they offer proteins and fresh fruits. The one big downside is distance from the park, but we got shuttle tickets so it wasn't bad for us. There are close shuttle stops (PCA is right outside the doors) so it works nicely. There is also a Starbucks at the Hyatt next door too. It was a great restful stay. Thanks! This hotel was great!! We stayed in the 2 bed 2 bath room and it was spacious and clean. We took advantage of the full breakfast every morning and they had a great selection that went way beyond continental breakfast. We had several requests for the front desk and they helped us out each time and were friendly. I would definitely stay here again.